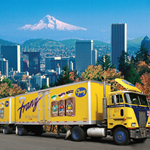 Occupational Health Solutions (OHS) has provided many services for United States Bakery (Franz Bakery) for many years. Their knowledgeable, professional and responsive staff works as an extension of our company. I am proud to say that OHS provides a very high degree of services including Workers’ Compensation Management, Occupational Nursing, New Hire Testing, Mobile Hearing Testing, Job Analysis Development and Employee Assistance Program (EAP) services that are essential for our business. In addition the value of services they provide is the long-term partnership and relationship that fits with Franz’s Cultural Core Values. 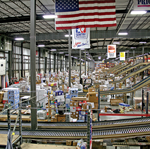 OHS has proven to be a beneficial resource to our company, supervisors and employees. From Pre-Employment Screening, Occupational Nurse Services, Employee Assistance Program, Fitness-For-Duty Exams, and Workers’ Comp Claims Management, OHS has provided accurate, timely, and reliable information that has helped us to make informed business decisions. Dorothea, Randi, and the rest of the professionals on the OHS team have what I would consider an “open door policy” when it comes to communication, I can always count on them being available, honest, and receptive to ideas and/or questions. OHS is continuously exploring value-added services to enhance its partnership with its Employer Partners; I look forward to their next value-added service and would recommend all of their services to others. OHS has proven to be a valued partner to our Companies throughout Washington, Oregon and Idaho. From pre-work screening and early intervention to fitness-for-duty and claims management, OHS offers insight and direction. Without hesitation, I have – and will continue to – recommend the services of OHS to others. 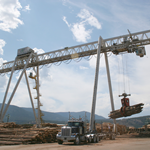 Vaagen Bros. Lumber, Inc. has been in partnership with OHS since 2006. At first we were a little skeptical about sending our employees 70 miles to have pre-employment testing done, but it has proven to be a much simpler, smoother process than what we previously had. In the past we utilized several different companies to do the same processes that OHS does for us, which includes drug screening, medical screening, hearing tests and pre-work screening. We receive the results promptly, which helps us get the prospective employees to work in a timely manner. We utilize OHS’ on-site job analysis, on-site hearing tests, the 24 hour nurse line and they also manage our claims. 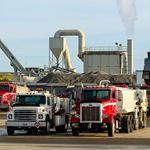 We have enjoyed our relationship with OHS and continue to work with them on new processes. We would highly recommend OHS’ services to others.